SAN DIEGO, CA--(Marketwired - August 16, 2017) - EMMES Realty Services of California LLC has begun a multi-million dollar renovation of the 7th Avenue plaza and atrium lobby of 701 B Street in downtown San Diego. Following a successful renovation of the B Street entrance of the building, the most dramatic change to the lobby will be the removal of the angled space frame glass wall, which currently inhibits views into the lobby due to the dark reflective glass. A new, straight vertical glass wall will be constructed, nearly doubling the size of the outdoor amenity plaza along 7th Avenue. This will create a spacious outdoor plaza "Urban Oasis". 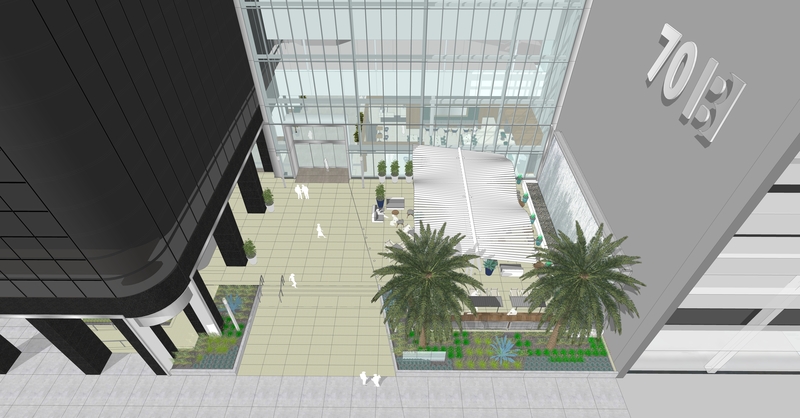 When completed, the new lobby will also greet tenants and guests with a spectacular, cascading water wall and provide spaces to gather formally and informally within the completely reimagined interior lobby, café space, or in the outdoor "Urban Oasis," which will offer a space unlike anything else downtown. 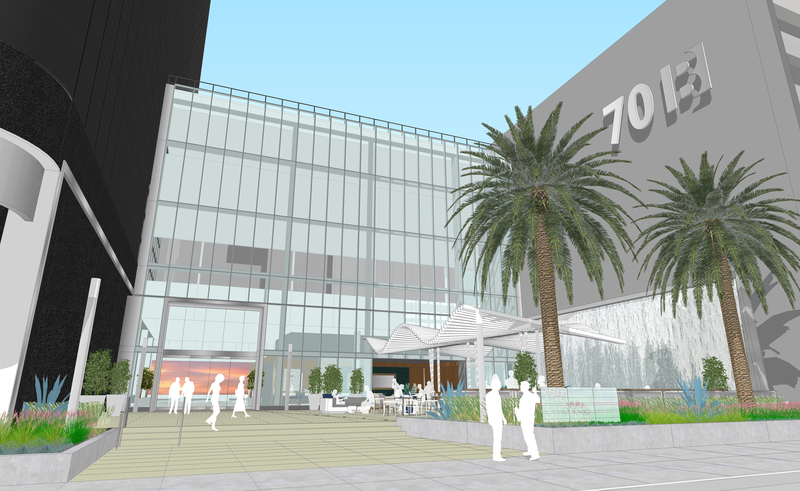 "EMMES's goal is to re-establish 701B as the 'place to be' downtown -- a destination," said Mark Kuske, Asset Manager, EMMES Realty Services of California LLC. "We wanted to create a design that would be appealing to a wide range of tenants, while also providing another attractive asset to the whole downtown experience." According to Kevin Leslie, LPA project designer, "Lobbies of the past were merely transient spaces that no one really spent any time in. They offered no amenities and were simply not comfortable places to want to spend time. We see lobbies today as an extension of the office, providing places to 'get away' and have meetings outside of the normal working environment. The new 701B lobby will be activated throughout the workday and evening hours, where typical office lobbies vacate after working hours." EMMES Realty Services of California LLC is a member of The EMMES Group of Companies. Founded in 1992, with offices in New York and California, The EMMES Group of Companies and its affiliates are engaged in principal real estate investments, funds management and real estate services. The downtown San Diego EMMES portfolio is comprised of four high-rise office properties: 1 Columbia Place, 2 Columbia Place, 701 B Street, and 707 Broadway, along with a large parking and retail facility, which was recently rebranded to 6th & A Parking. For more information, visit www.emmesco.com. 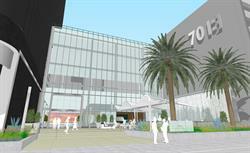 "EMMES's goal is to re-establish 701B as the 'place to be' downtown -- a destination." -- Mark Kuske, Asset Manager, EMMES Realty Services of California LLC.